Ireland fear Sergio Parisse could "change the dynamic" of their pivotal World Cup battle with Italy. 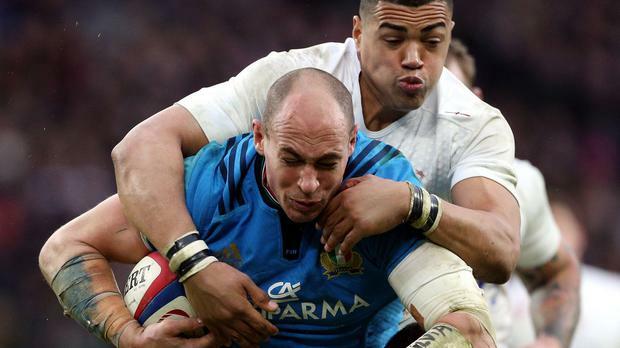 Italy hope captain and linchpin Parisse will finally recover from a calf haematoma to make his bow at this World Cup against Ireland at London's Olympic Stadium next weekend. Ireland will secure quarter-final qualification with victory over Italy on Sunday, and would then target beating France to top Pool D and tee up a likely last-eight meeting with Argentina. Lock Devin Toner expects Parisse's presence to alter the entire complexion of the Italy clash, with captain Paul O'Connell warning his team-mates of the Stade Francais star's high-class qualities. "Parisse would definitely change the dynamic," said Toner. "He controls the lineout, he owns it, he calls it, so he's a real threat if he does play. "But he's the talisman, he spurs everything good about Italy. "So if he does play it would be a coup for them. "You never want to see players injured of course. "I'm sure the neutrals want to see him play but I don't know if we do, to be honest." Ireland eased past Romania 44-10 at Wembley on Sunday, racking up six tries to move top of Pool D with two bonus point victories now under their belts. Keith Earls equalled Brian O'Driscoll's record of seven World Cup tries for Ireland with a brace, before suffering a head-injury scare. Tommy Bowe crossed twice too, with Rob Kearney and Chris Henry completing the rout. Ireland expect Earls to be free to face Italy without issue, after he passed a pitchside Head Injury Assessment (HIA). Leinster lock Toner produced a strong showing in response to being dropped for the 50-7 victory over Canada, putting pressure on boss Joe Schmidt on the selection front for Italy. Squad captain O'Connell stepped off the bench for the final quarter, and will approach the Italy clash with caution. "There's probably a bit of a mind-shift now over the next two weeks, playing two Six Nations teams in those two weeks and two teams who know us very well," said O'Connell with Italy and France to come. "We know them very well too and we've had very close games with France in the last two years and have been lucky enough to beat them. "With Italy in Rome we were lucky enough to beat them too. "It's two massive games ahead now. "Parisse makes a massive difference for them, he's obviously a world-class player. "A lot of their defensive and attacking lineouts run around him, we talked today about having 100 per cent set-piece - it's going to be a lot harder to do that against Italy. "Around the field he can produce that something different, that maybe the teams in the last two weeks haven't had. "So we've got to be ready for that."